By understanding what Workspace as a Service (WaaS) has to offer your End Customer, you can ensure that you’re reaching the customers who will benefit the most from the cloud. WaaS has so much to offer to so many. But, who is the ideal prospect? WaaS has practical applications across every vertical and just about every size business. This widespread versatility gives our partners the flexibility to develop their solution and messaging for the verticals they are already targeting, or to focus their marketing and sales as broadly as they want. Using the Core-4 to Find the Ideal WaaS Customer. 1. Will you require a server refresh or other large IT project within the next 12 months? Especially this year as Microsoft will sunset Windows 7 and Windows Server 2001/2008 R2 next January, so many companies are going to have to decide: expensive fork-lift upgrade, or easy and inexpensive transition into the cloud. End Customers hate IT projects, and with the cloud, you can eliminate the majority of them, saving them money and resources, and building your cloud business in the process. 2. Do you have employees who work remotely? Or does your business have multiple locations? In today’s global business environment, companies are turning more and more to hiring remote staff, often outside their geographic footprint. Consider a company who hires Susan whose sole responsibility is to meet with customers; any time she spends in the office is just wasted time. Or, what about a business who needs Grant’s specific expertise, but he lives in Seattle, hundreds of miles away. In both cases, the staffers need the same accessibility as anyone working from the office. In both cases, the company’s IT needs to have control over their technology. Cloud Workspace simplifies both of these, making them an easy reality. 3. Do you have extensive security needs? Think about a small bank, finance company or insurance agent. These are small companies, but they store and share sensitive client information. Security is paramount for them. 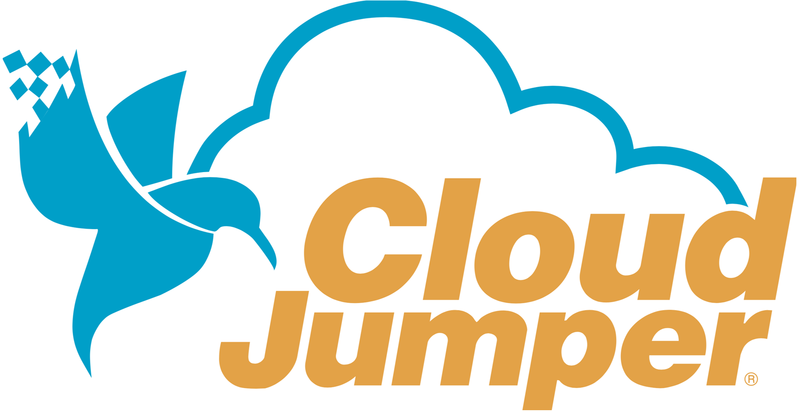 At CloudJumper, we work incredibly hard to ensure our solutions are inherently secure. Additionally, we have a number of optional security add-ons that help your End Customers who need even more. 4. Is your company’s IT function larger than your IT team can support? This can come out in a number of ways. Of course, if they have big security needs, but maybe, they also have numerous software apps to manage and maintain. They might have tight IT requirements for maintaining certifications or franchise agreements. Maybe they have a mix of OS and devices that all need to connect. The list here is endless, and no doubt your prospects will share items they simply would love to off-load to the cloud. These are the four prospect characteristics that so easily translate into a sale, and they always have in the 20 years we have been providing a WaaS solution. You will find them in businesses across every industry, every vertical, every part of the world. Understand them, recognize them, and the sale is yours! It’s just a natural fit. By understanding the ideal WaaS customer, you will more easily grow your business in the cloud, and boost your sales, profits and the stickiness of your customer base. Especially as you are just starting to build your cloud business, start with the Core-4. Soon, you’ll find yourself supporting your customers in ways no on-prem server farm can handle. Patrick Sullivan is the Channel Sales Manager for CloudJumper who uses his cloud expertise and business acumen to guide MSPs as they create and grow their companies in the cloud. His support helps them build an IT cloud solution that saves their end customers money, time and hassle. Patrick has been with CloudJumper since June 2015 and has been very successful working helping his partners build their businesses in the cloud. Prior to joining CloudJumper, he honed his business development skills working in the equipment finance industry for more than 8 years. In 2005, Patrick graduated from New Hampshire University with Bachelor of Science in Business Administration.